There aren't many writers who have had a faster rise at either of the Big Two than James Tynion IV, currently the writer on both Red Hood and the Outlaws and Talon for DC's New 52. Seemingly out of nowhere, he's become a key part of the Gotham corner of the DC Universe--which is, of course, a pretty significant place to be playing a role. He also does The Eighth Seal at Thrillbent, which you can buy now via their new, DRM-free digital storefront. 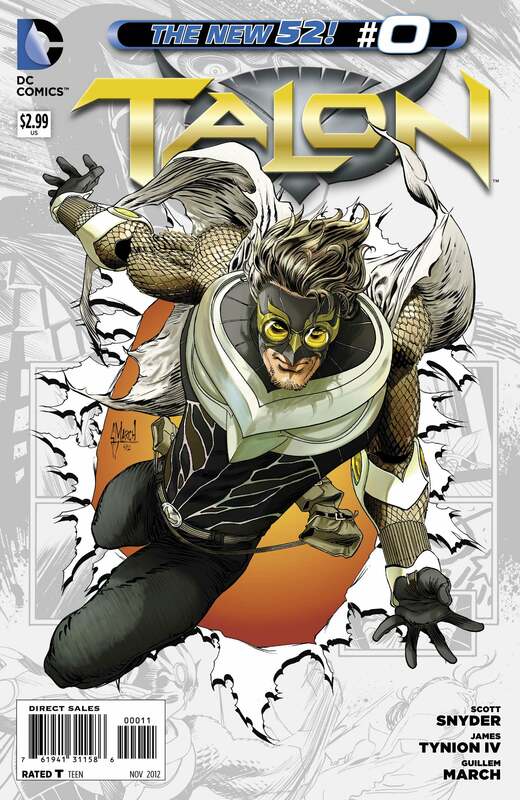 Tynion joined ComicBook.com for a discussion on his current work, a little of what's coming next and a lot of "why you should read Talon." ComicBook.com: I have really really enjoyed your take on Red Hood and the Outlaws so far. Tynion: Thank you a lot. Scott [Lobdell] created a really dynamic, cool book in the DC Unvierse that really doesn't have… there isn't another book like it in the New 52. The kind of vibrant energy that he imbued it with. You know everything, and the dynamic between the characters, the fact that it's a book with that it's very much about fun and going to crazy extremes. You know the thing I always like talking about with Red Hood and the Outlaws its the fact that it's those three characters you could tell any type of story. You could go from crazy space opera science fiction with Kory, you could you know do grim and gritty street with Roy and Jason, you could do kind of more tech sci-fi with Roy, you can do kung-fu mysticism with Jason, there's like - you can do anything - it's almost like you can sort of see these '80s action movies just giving life to the series. So I wanted to tell escapist stories with great characters that brought in a lot those possibilities and that tie together some elements from the mythology that got Scott created in the series. So that's something that I was really really excited to get to play with and build off of - but the most fun part of the book as just writing those three characters and the dynamics between them. I know some people get angry at me right now because I sort of, you know, taken a hammer to their relationships but it's designed and purposeful and it's one of those things where I think everyone knows in the end they'll get back together and be stronger than ever. ComicBook.com: You've got to keep in perspective that people got all agitated that Giffen and DeMatteis were "breaking" the first three issues of their Justice League - that worked out ok.
Tynion: You always want change. You always want cool new things you don't want to read the same thing over and over again. I'm working with Scott Snyder on Batman: The Zero Year right now for the backups and, you know I think thats the best example that now - especially at DC. You know where everyone is like, I'm going to do the Batman Origins - but it's not going to be like anything you've ever saw before no one will believe that was true. Now, now it's coming out and it's like very different in tone and everything it's like a fun story and I'm thrilled to be part of it. ComicBook.com: Now with Talon, one thing that struck me is that… so far in the New 52 books with villains or kind of anti-heroes have not had great luck - obviously Deathstroke and Grifter didn't do well but ah… you're kind of coming at a really good time because as the book is wrapping it's first arc you're looking forward to the Villains Month thing. And this Idea of a character that's a little morally gray, there's really got to be a lot to play with. Tynion: Right and I mean I think that, I mean I would say that Calvin Rose, the main character of Talon, falls...he's done some really terrible things but he wants to be good, he's trying to be good. He is like a hero and everything keeps trying to pull him into the horrible dark direction and he's an escape artist - he's trying to break free of all of that. And then again and again and even though as it seems there is no possible escape. Tynion: The big story line that's happening right now is pitting Calvin Rose against Bane. We're going down to Santa Prisca and we're getting to know the island that Bane grew up on and eventually dominated and took control over. I wanted to go very classic Bane, the super-intelligent general type, very intimidating and imposing. There's a great dynamic between him and Talon essentially with Bane targeting Gotham City all the time. Putting Talon into a role where he's sent there to be a villain but he might be a hero. 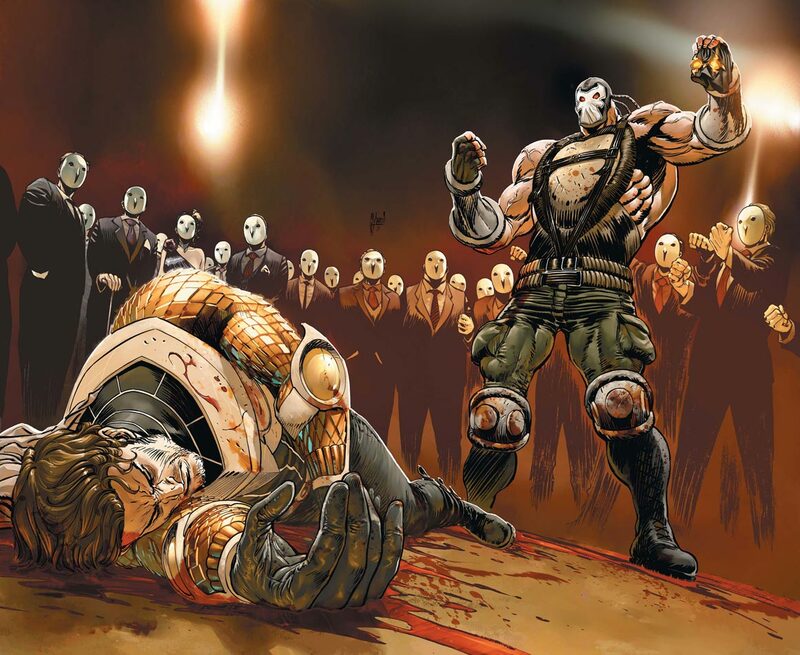 And you know Bane is just one of my favorite villains that has been a thrill to write. ComicBook.com: The combination of Bane and my preconceptions about Talon which again are totally uninformed but to me they tell a particular story… Did you ever read any of O'Neil's Azrael? Tynion: Not in a long time. I did. You know… especially when Talon was announced some people sort of thought Azrael was part of the reason, Azrael-type book was part of the reason I didn't go back and read it… because I don't want to be informed by that character's connection to the Bat mythos. I wanted to create in Talon a very new contemporary character that you know—yes, he might fill a very similar role in the fact that you know his connectivity through an order of villains and all that. But he is new, different and his personality alone distinguishes him, his supporting cast distinguishes him. The way he relates to both Batman and to the rest of Gotham is very different - So I feel confident that I've established them as separate entities… but you know I love the character of Azrael so… that never bothered me as a comparison.